Garden gnomes: love them or hate them, there is no middle ground. 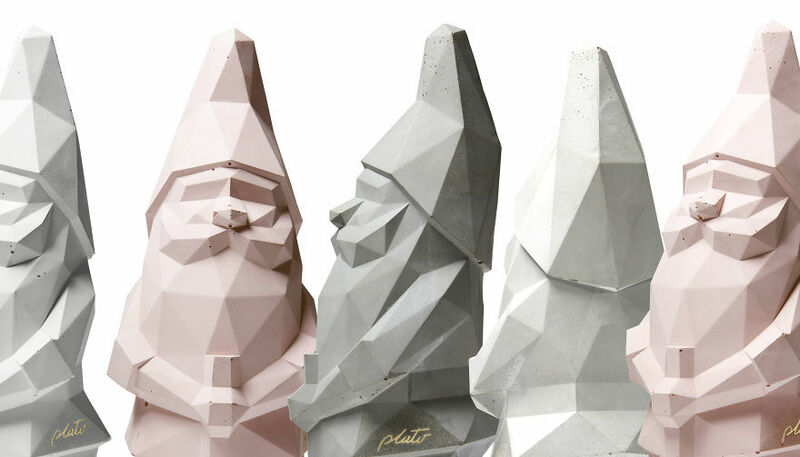 And Plato Design just loves garden gnomes. And that is not all; they are convinced that everybody, perhaps deep down and in their subconscious, wants to own one. And there are many reasons for this: because garden gnomes are endearing, they remind us of our childhood, or perhaps because we believe that, as tradition tells us, they protect our homes and gardens. But if this widespread and universal desire exists, why do so few people dare to display a gnome in their garden? The answer is simple: shame. Garden gnomes are considered kitsch. This is because they are often poorly and ridiculously designed, more often than not are represented with garish colours, and are almost always made with shoddy materials. For this reason the most audacious and refined of people have only had one option if they wish to possess one: opening their homes and gardens to designer-labelled garden gnomes who have been sadistically turned into small tables! 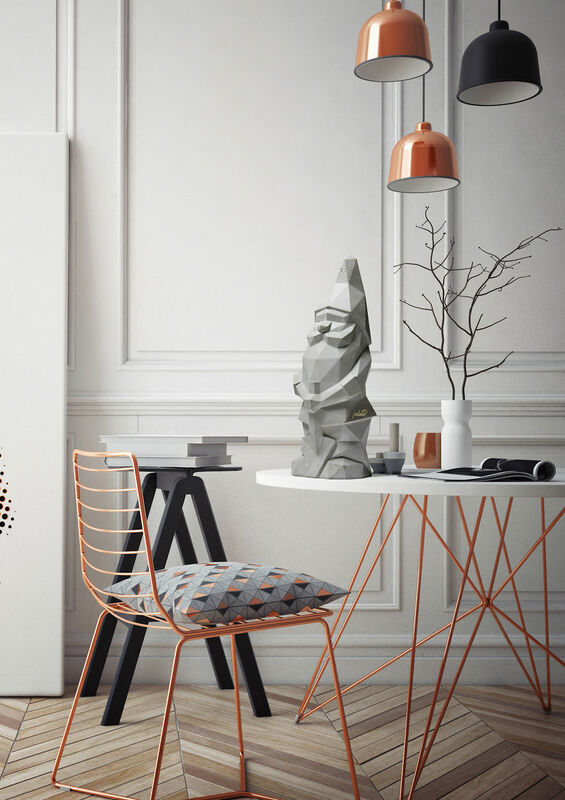 The challenge set out by the Nino project is that of overturning the perception of an object by working solely on language and imagery, not on its function. 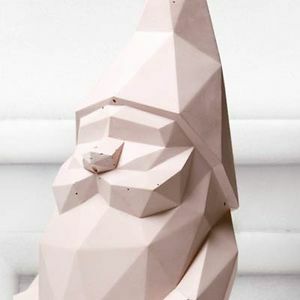 The union of Pellegrino Cucciniello’s low-poly imagery and Italian hand-worked monochromatic cement was the key to restoring dignity to the garden gnome, without entrusting him improper and frankly debasing duties. 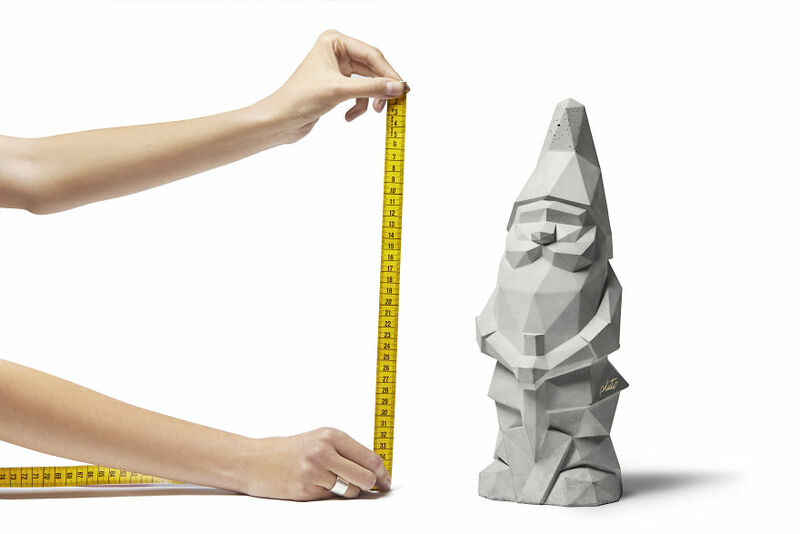 The gnome can finally come inside and make its way to the lounge, the living room, the drawing room. 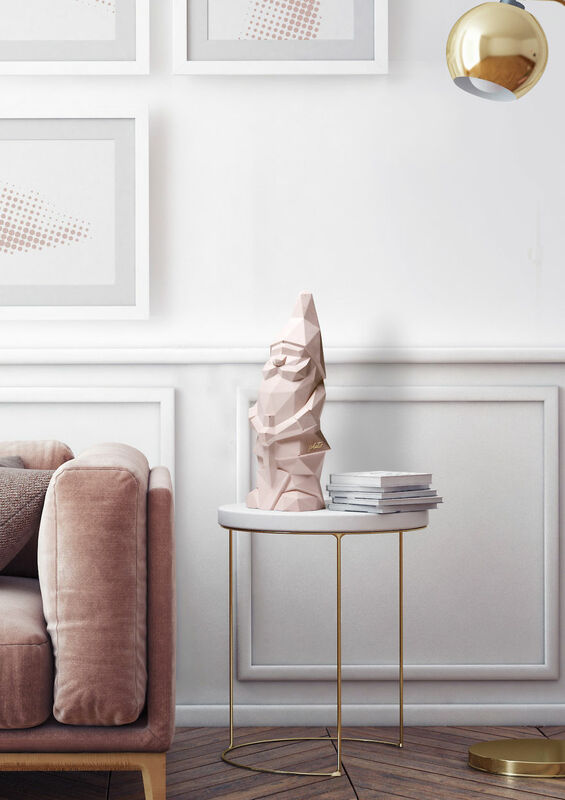 Nino, thanks to his refined materials and detail, earns his rightful place with dignity, next to the great classics: picture frames and ornaments perched on bookcases. His calibrated geometric abstraction and imperceptible optical corrections make each Nino unique and highly desirable. Wishing to own a garden gnome is no longer a taboo. Who told gnomes are short?